I can't remember the last time I wanted to try new disposable beauty tools like cotton pads or cleansing clothes. Sometimes my cleansing routine gets stuck in a rut. If it's not broke, don't fix it right? Well, recently I decided to take the Wash What Happens challenge and replace my usual picks with the entire Kleenex Facial Cleansing line. I think I may have just found some new favorites! The Kleenex Facial Cleansing line is comprised of Cotton Soft Pads, Eye Makeup Removers, Facial Cleansing Wipes and Exfoliating Cushions. Cotton Soft Pads | Take your everyday cotton rounds up a notch with these rectangular pads that are large enough to tackle almost any task. Makeup removal, toner application, nail polish removal, you name it. These pads are practically double the size of my cotton rounds so they're a lot more efficient. They are durable and absorb the perfect amount of product. I was really impressed by the quality! Eye Makeup Removers | One of the things that deters me from many eye makeup removers is the oily consistency. These eye makeup removers lift away even the most stubborn eye makeup with an oil-free formula that won't leave residue on the skin. The fabric is incredibly soft so it's really gentle around the eye area. Not only that, these pads are infused with aloe and vitamin E to help moisturize and fight signs of aging. 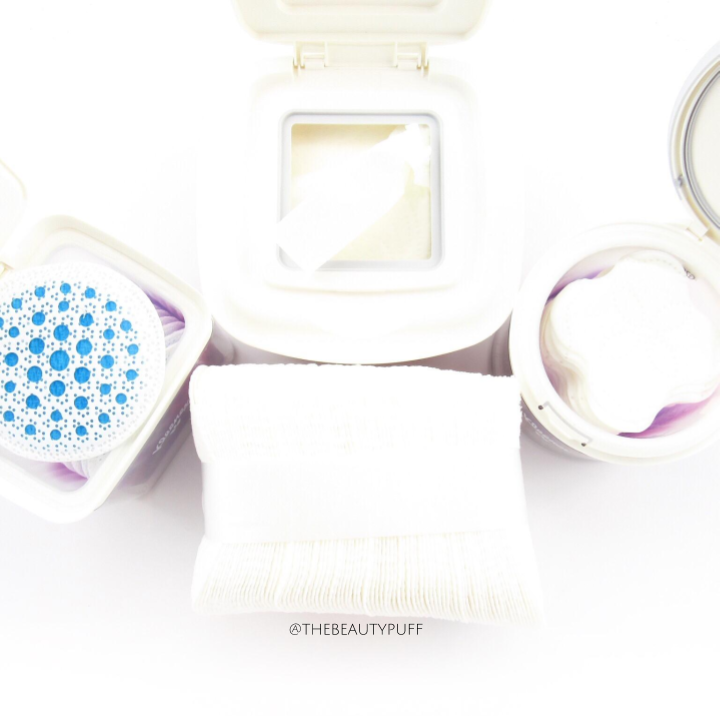 Facial Cleansing Wipes | These are probably some of the most luxurious feeling cleansing wipes I have ever tried. The multi-layered, textured fabric removes dirt and makeup effortlessly while being gentle on the skin. They leave no residue and my skin is left feeling cleansed and refreshed after each use. I also love the dispenser. The lid opens with one touch and each wipe comes out easily without having to struggle with awkward packaging. 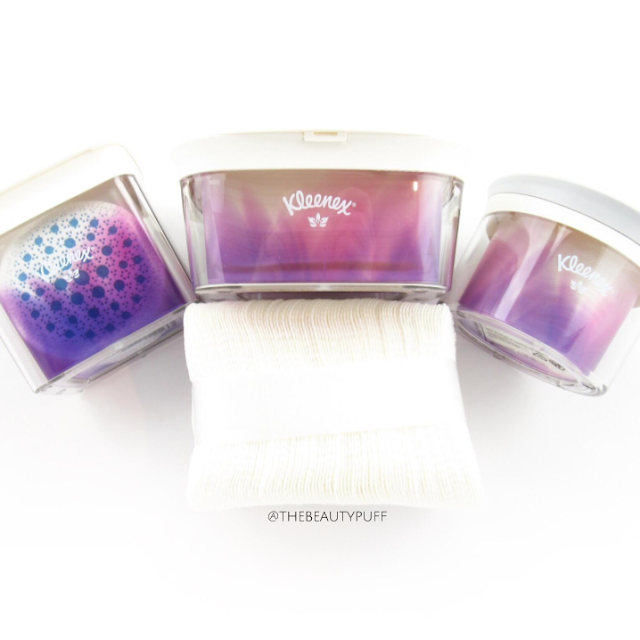 Exfoliating Cushions | The exfoliating cushions are probably my favorite discovery in the Kleenex line. These handy cushions just need water to lather so they're perfect for travel to keep your skin smooth on-the-go. One side works to massage and exfoliate, while the other smooths and polishes for silky soft skin. My skin literally squeaked after using these, such a thorough clean. My moisturizer also absorbed better after using these cushions, I'm definitely getting more of these little gems! Will you take the #WashWhatHappens challenge? Try the Kleenex Facial Cleansing line for cleaner, smoother skin in just one use. Shop this collection on Target.com and the Kleenex website below!